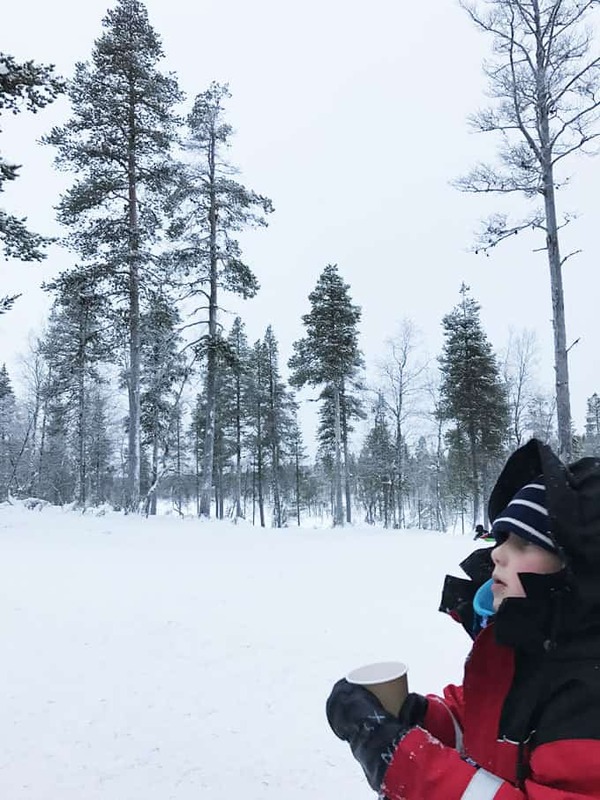 You are here: Home / Travel and Places / Why you really need to visit Lapland..
As a parent, there are occasional moments, where you just wish you could stop time, press pause. You long to slow the scene down and savour a moment. Bottle it and never ever forget it. 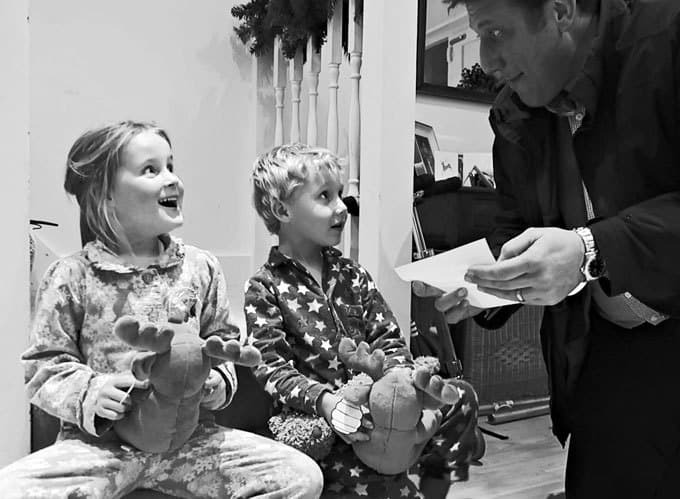 The moment that G&H received a letter from Father Christmas, inviting them to visit him high up above the Arctic Circle in Lapland, was one of those moments. I want to remember it forever. Total magic. I may have helped a little bit with the letter from Santa, but oh it worked perfectly. We told them on the Friday, ready to go the following Monday. It was a perfect amount of time, a fabulously excitable weekend, full of anticipation. We packed our vast array of thermals, toy reindeers and cosy socks and made our way to Bristol airport. We used the Meet and Greet Parking at Bristol airport, booked through Holiday Extras. It was so easy and made the 3:30am start much less painful! On the plane, the cabin crew, wearing their elf hats, sang carols with us all and held competitions for the children. There were even announcements to “boys and girls” to look for Santa along the way. It was one of the most memorable flights, in the best possible way, with families buzzing with excitement. We arrived at Ivalo airport at twilight (2pm!) greeted by reindeer and the fantastic Santa’s Lapland staff. The short transfer to our hotel was our first sight of the breath taking scenery. 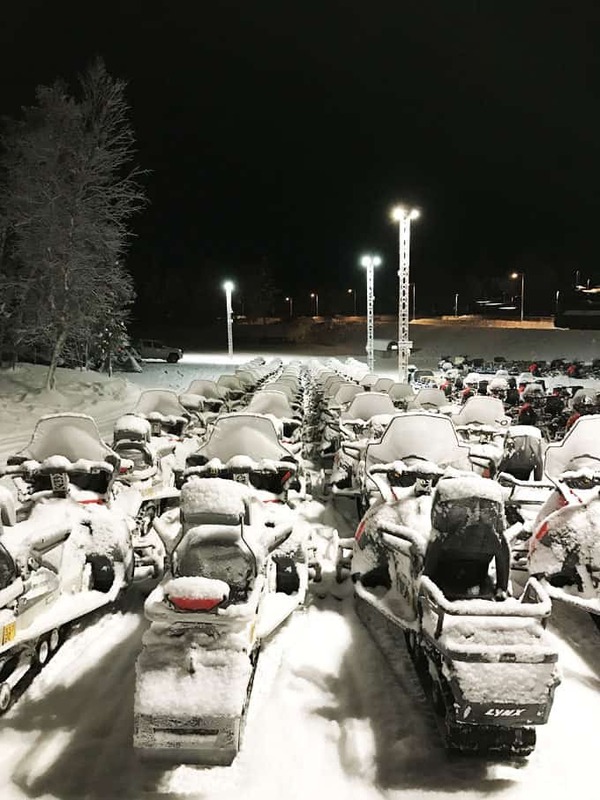 After being kitted out in our arctic wear, we set off to explore a little of Saariselkä, the town we were staying in. 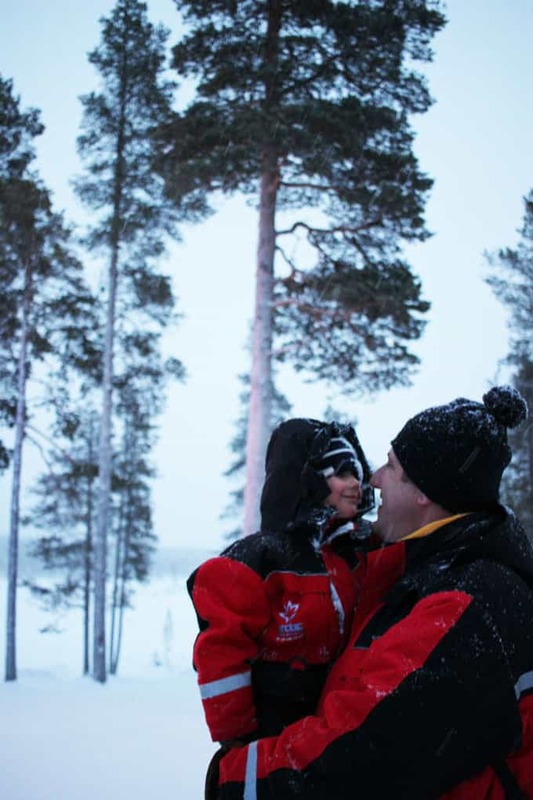 Santa’s Lapland provide full outerwear to keep you all comfortable for the duration of your stay. The weather was particularly warm whilst we were there, a balmy -8C on some days. We’d been told to expect down to -25C so this was quite a surprise. The suits kept us toasty and really comfortable. 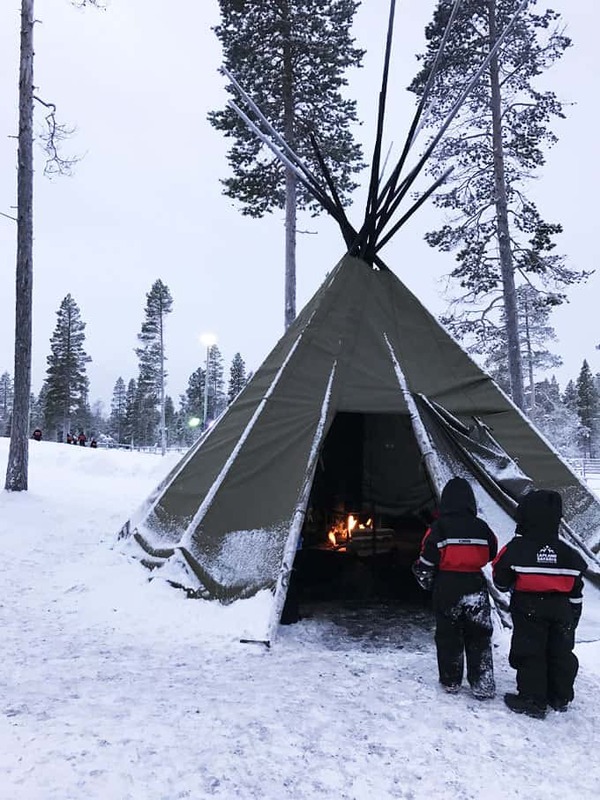 The next day, we headed off to the Arctic Circle Activity Centre by coach. We were ready for adventures and oh how it delivered. 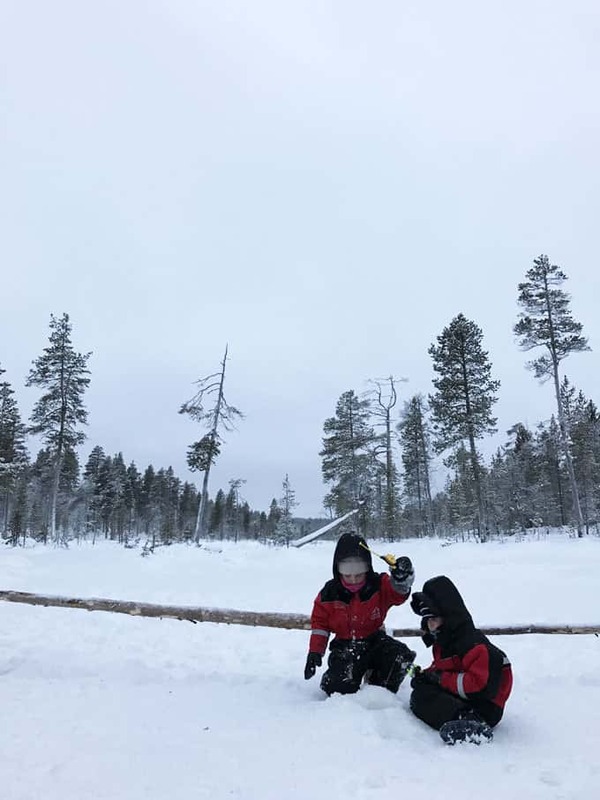 We started the day with tobogganing, those shrieks of laughter from my children, whizzing out into the fresh snow, I will never forget. We travelled by ‘sleigh train’ (towed on a Ski-Doo) around the centre, which was fantastic fun. 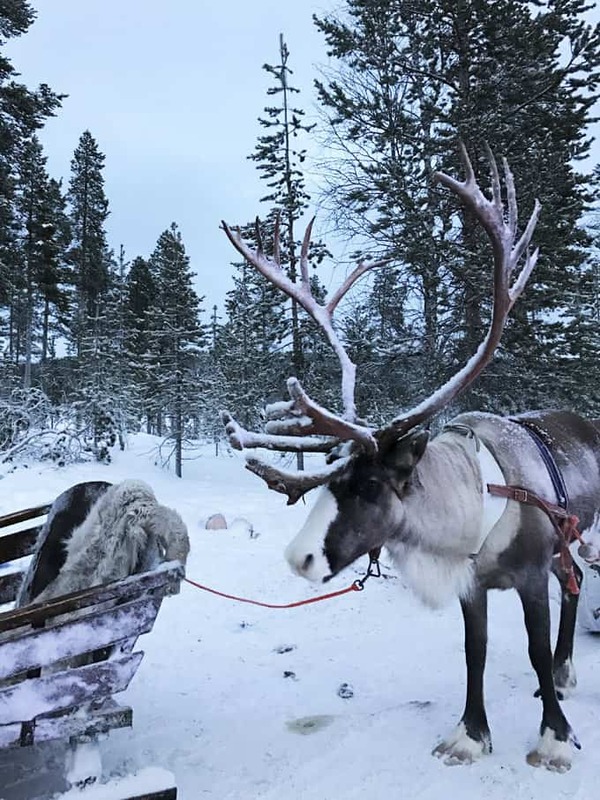 A reindeer ride was a really special experience, surrounded by mile upon mile of snowy landscapes. 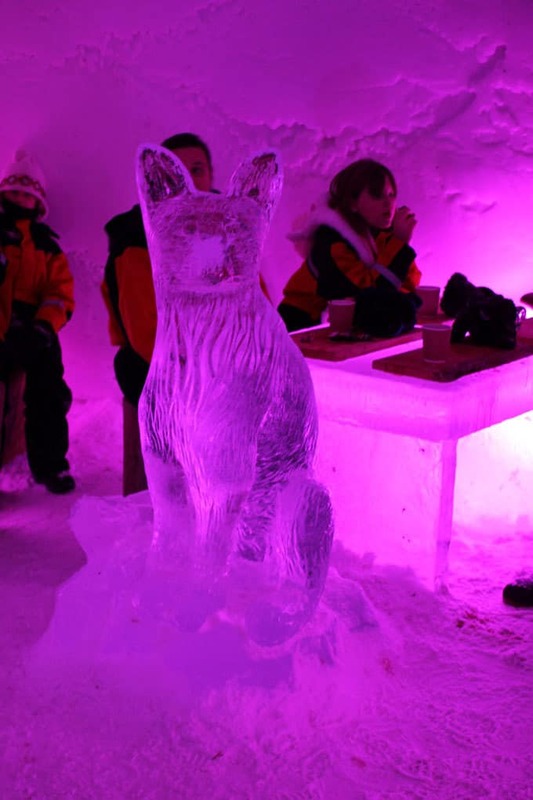 We explored igloos, drank hot chocolate in the ice bar, tried our hand at ice fishing and rolled in the snow. They rolled in the snow A LOT! 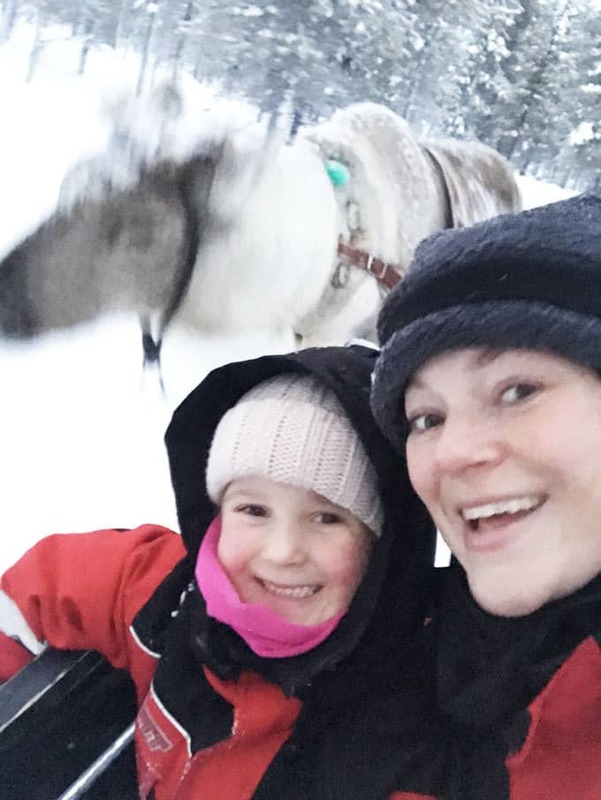 My favourite experience of the day was a husky sleigh ride. It was so interesting to hear about these intelligent working dogs, how loved they are by their trainers and then experience them in action. We could hear them barking from far away, desperate to run. 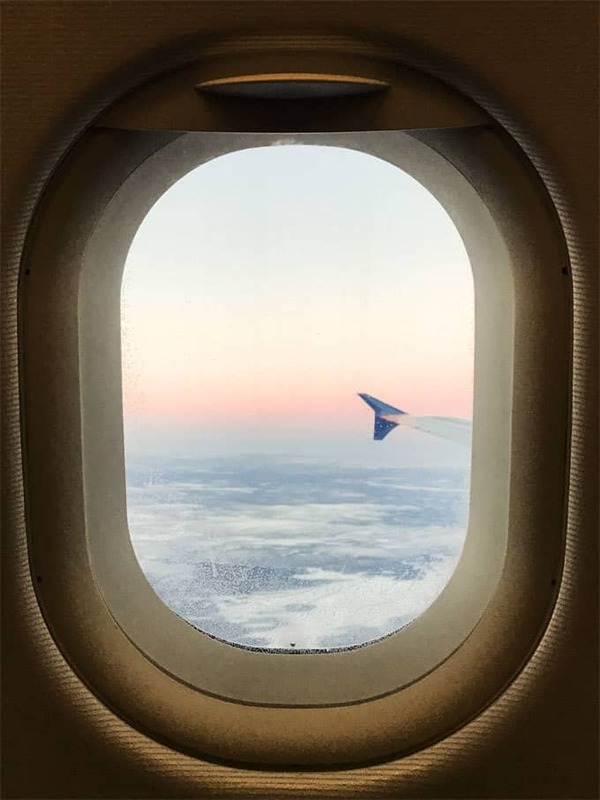 When we did eventually take off, a peaceful silence descended instantly as we raced through the snowy scene. Of course, there was an important hunt to go on too. 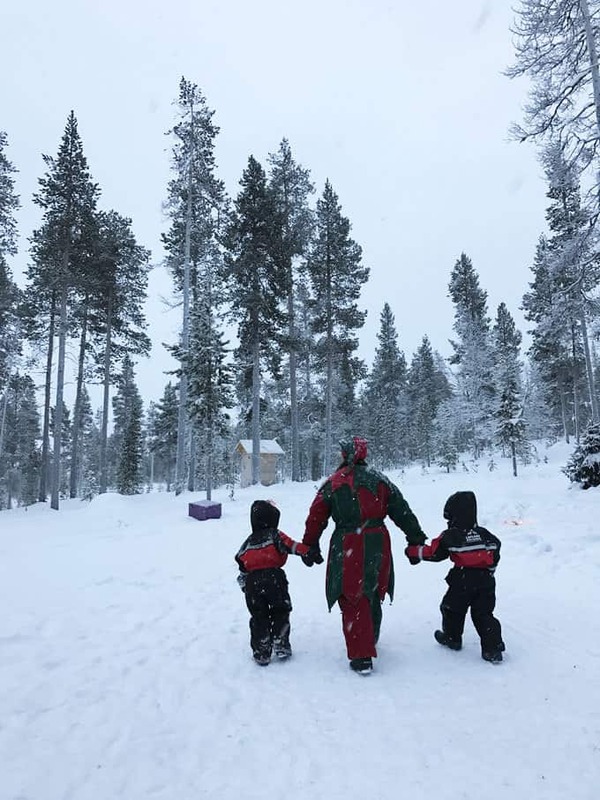 We were whisked off on a private Ski-Doo ride as a family, as we whizzed through the countryside, we happened to see some elves who told us someone was in a cabin up ahead.. There we found the man himself by the fire in his cabin. What a moment that must’ve been for our little four year olds. It was incredibly well organised and arranged, totally seamless. 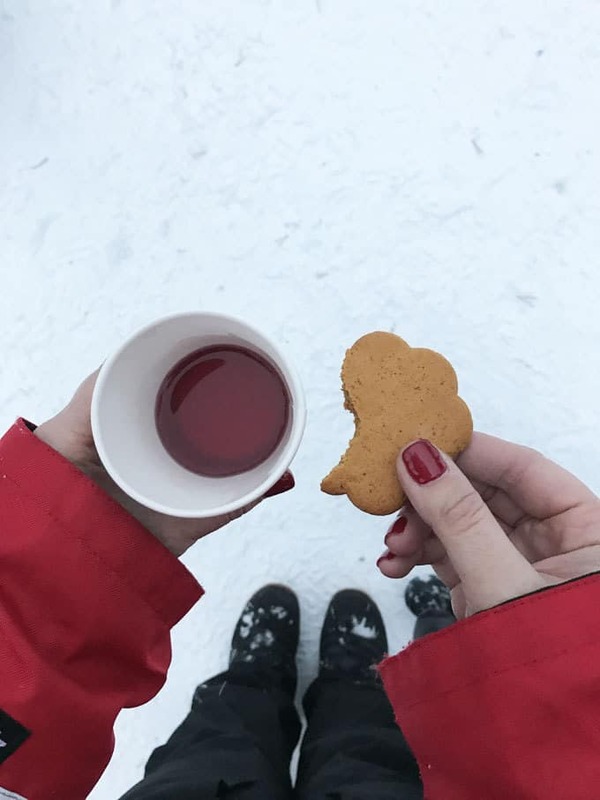 Through the day at the Arctic Circle Activity Centre, we snacked on warm berry juice and biscuits provided in little tents around the site. Perfect for reviving tired little ones. Our day at the activity centre was so well organised, all of the staff were incredibly friendly, helpful and totally added to the magic of the whole place. 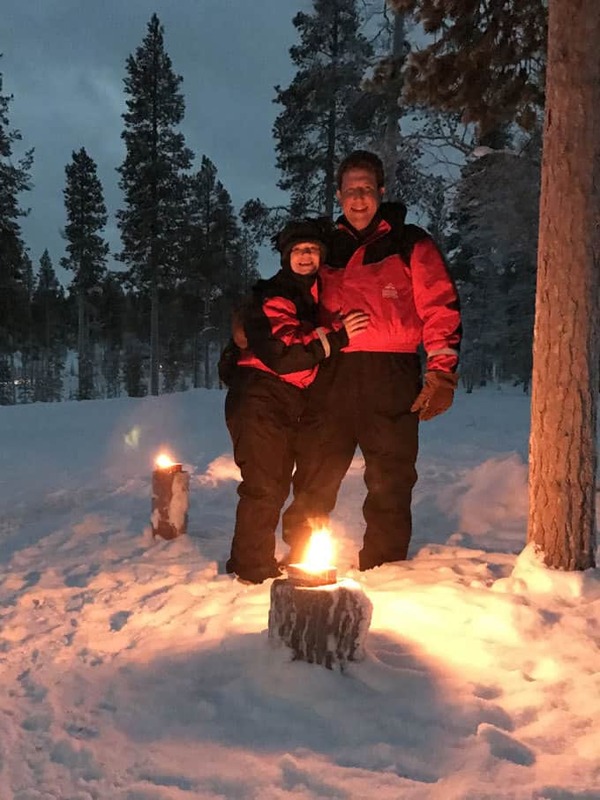 That evening we went on a Ski-Doo drive to hunt for the Northern Lights. Sadly they didn’t perform, but the drive was so much fun even without that treat. Mr TT drove ours with me on the back, the children were safely nestled in a sleigh on the back of a chauffeur driven Ski-Doo with us. Being out there in the darkness, speeding through the white trees was something I will never ever forget. Do make sure you add extra layers if you do this though, it is much colder out there at night. 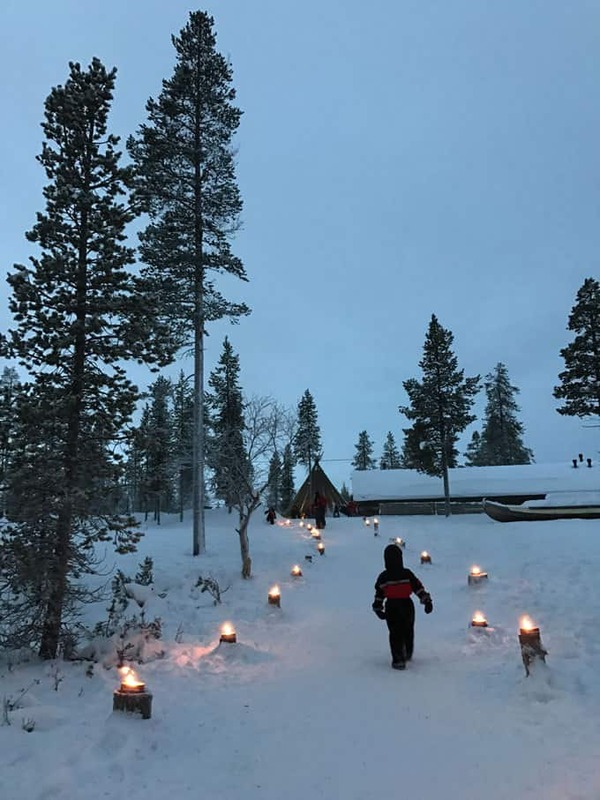 Would we recommend Santa’s Lapland? 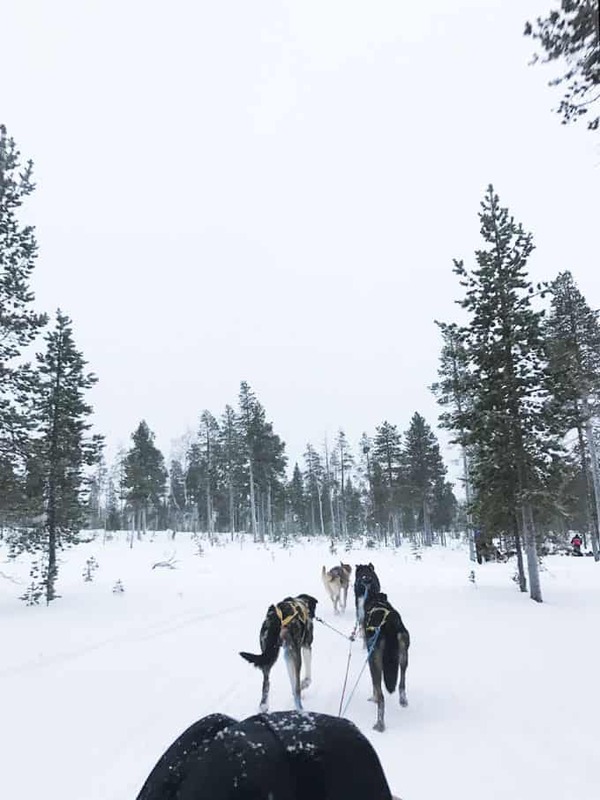 We were invited to review this trip, but since we came back, so many friends have asked if we would recommend the trip and I can honestly say YES! 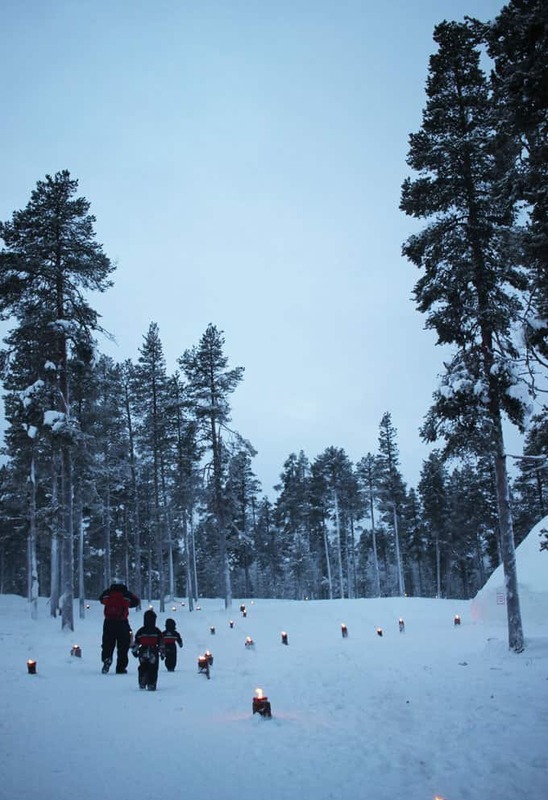 The planning and organisation from Santa’s Lapland was so impressive. Everything happened like clockwork, there was always someone to help and offer advice with a smile. Travelling to the area is such a specialist trip that this would be comforting even for seasoned travellers. Our only hesitation would be that we’d definitely recommend doing the 4 day trip if you can. It’s quite a lot of travelling for young families for just 2 nights. We would’ve loved to have more time to explore the town and generally take the time to enjoy all of the activities at a slower pace. So, if you’re going to do this amazing experience, go all out for 4 days would be our advice. Bookings are now open for 2017. 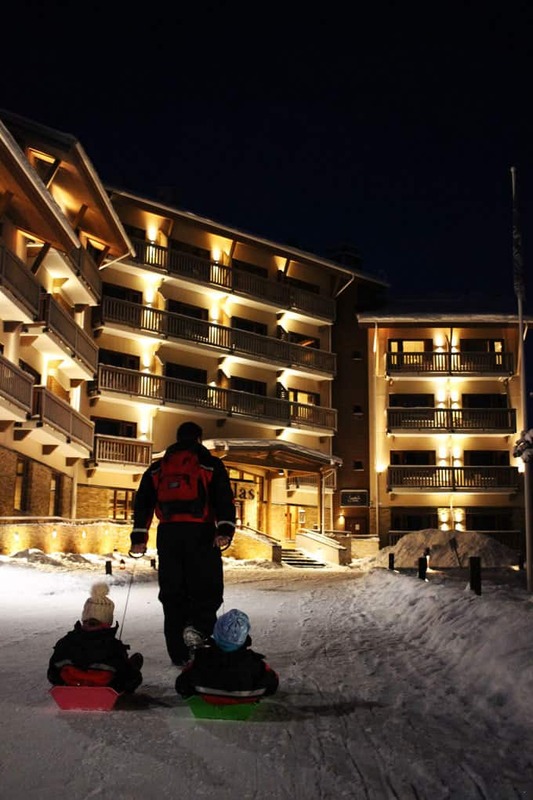 Adult prices start from £749 per person. 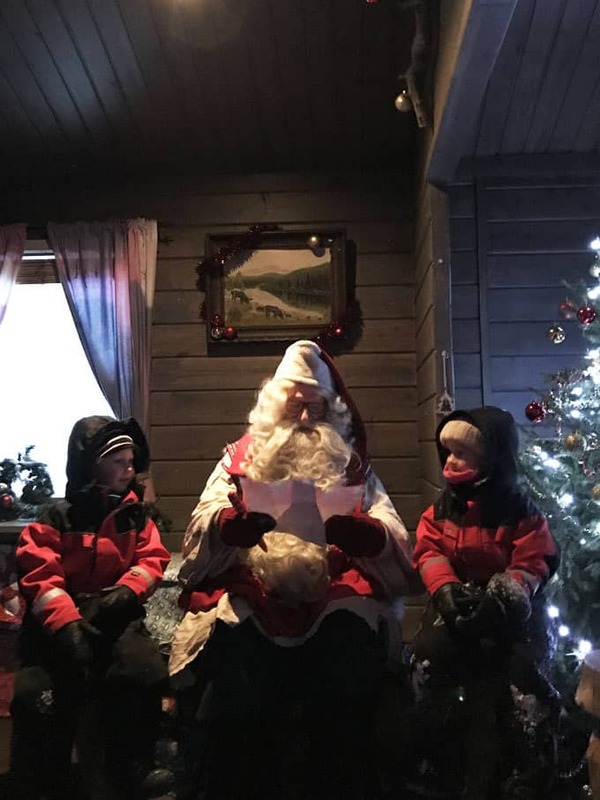 Disclosure: Thank you so much to Santa’s Lapland for inviting us to review this trip. All opinions are truthful as always.